Family Entertainment for Children of all ages, both young and old! 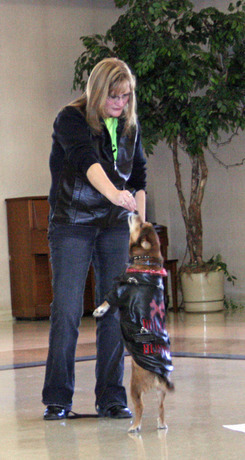 Snickers "stands" as Lisa shares that we need to Stand Up for ourselves as well as others. She's a motivational speaker who educates on diversity and inclusion, peer support, positive peer pressure, and helps others look past differences to bring love, acceptance, and unity to all. Lisa Freeman is a fabulous public speaker and guest speaker! She empowers others to overcome and achieve their highest potential. Over the past fifteen years, she's been a keynote speaker at schools, community events, religious seminars, and professional meetings for the work force. Recent surveys have revealed that 89% of students in schools where Lisa has presented were motivated to change for the better after participating in one of her life changing seminars. *Wedding Photography (engagements), Family Portraits (newborns-seniors), Pet Portraits, Headshots, Modeling and Acting Portfolios, and business photography.